Excerpt from a Russian dancer's memoir set in the 1930s' Shanghai. Russian emigrant Larissa Andersen (1914-2012) entitled her memoir Alone on the Bridge [Одна на мосту]. Shanghai literary circles knew her as a poet, but she made her living by dancing in the Lyceum Theatre as well as various cabarets around town. She left Shanghai in 1956 after marrying a French businessman. 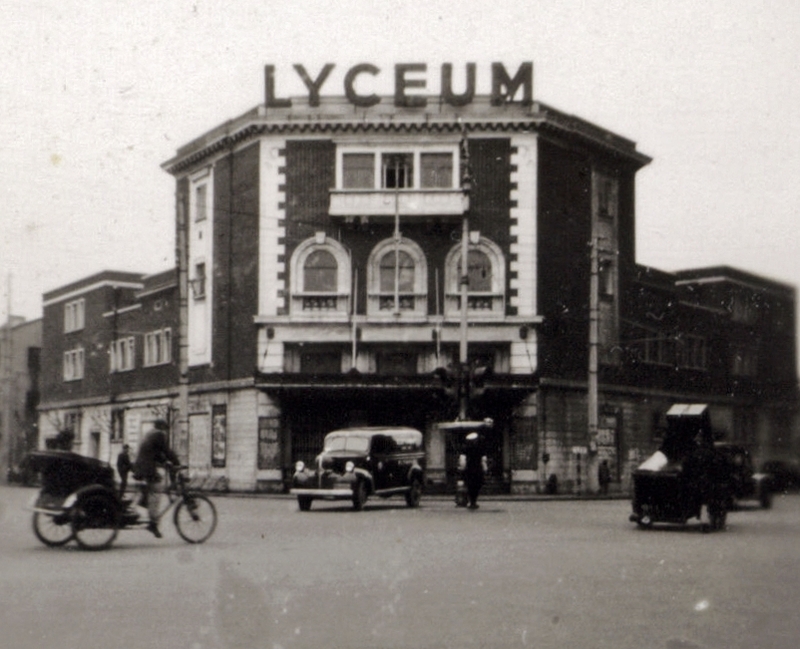 In the mornings I attended the ballet school located at the top floor of the Lyceum Theatre. The school headmistress Evgenia Pavlovlna Baranova was the wife of the theatre choreographer, N. Sokolsky. Performances in this theatre were infrequent and my pockets were always empty. I heard that the big dancehall ‘The Paramount” was looking to hire a girl to check tickets at the door. This job was harder than dancing. I had to stand still for 2-3 hours, go to bed late and wake up early to go to the ballet school. Between dances the Paramount put on a floor show: young girls in skimpy costumes tap-danced on stage to modern jazz. One day the director asked me if I could dance. I said yes, but not tap-dance. He said he would find me a teacher if I brought a partner – a girl my height – so he could include a duet into the program. I found a partner easily: my new friend Vera Mysina had also recently arrived in Shanghai and was looking for work. She was as long-legged as I was, but she was a blonde, while I was a brunette – a good match. At that point we were surviving on cocoa that Vera managed to buy on credit in a local Russian store and Chinese flat cakes “dabing” from street stalls. We dreamed of finding stable jobs so we could occasionally sit down in a café and order a pastry and some prostokvasha (sour milk drink). Vera and I learned to tap-dance quickly, but we did not stay in the dancehall very long. As we were learning the steps I was transferred to work in the bar. There I made a little more cash than at the ticket check. Remembering the names of the drinks was not too hard, but the job also included smiling and chatting with clients. The manager kept on pointing at my grumpy face and stretching the corners of my mouth with his fingers. But what was there to smile about? Then I said something rude to a drunk and clingy patron and got us fired after only one week. It was almost a relief, although I missed the free sandwiches from the bar. Also, the “prima donna” of the tap-dancing company did not like me, because I was taller. She was the wife of the company’s director, so we had to leave the Paramount. Nevertheless, we still had our dance act; all we had to do was find some suitable jazz tune or a song and we could try our luck in a less demanding establishment. Stage costumes were not a problem. Both of us could sew (I learned a little from my mother). The costumes only needed a little material: they consisted of a bra and underpants with added frills from leftover fabric. My old pink gown was enough for everything. The costumes came out very well and served us for a long time. Years later, when our operetta prima donna Katya Orlovskaya was leaving for the USSR I gave her several of my stage costumes, including this pink skirt from my first numbers. She later wrote that it made a cute curtain. Choosing the music was easy. We didn’t even have to provide the scores – all Shanghai musicians knew the popular melody we chose. The only problem was to get a show. We knew a German refugee whose daughter “danced a little” and who organized gigs for her and others. He was dirt poor and his pants fringed at the bottoms. He had to rent trousers to meet club managers because you had to look presentable to get a show. He easily found us a club. I cannot say we were madly popular, but the audience smiled and applauded. Who would not applaud two cute and cheerful girls tap-dancing on stage? But our wages were still small and we had to pay the German a commission. We decided to try to get a show ourselves. We dressed up and went to one of the larger dance halls. We said we had recently arrived from Manila and wanted to audition. The Chinese manager said his venue was perfect for us and asked us to come tomorrow to try our dance with the club orchestra. We learned that the orchestra consisted exclusively of Portuguese from Manila. We were scared they would talk to us and expose our lack of Portuguese. To forestall this hazard we acted unapproachable and frowned all the time. The rehearsal went well and we were hired for the weekend. Our dance was a success, and the management invited us to perform another night. And they asked us to come up with another number. I remembered my Spanish dance from Harbin (the one that enraged my parents so much). I still had the music score; the only thing missing was the costume. I put on my summer dress with a long skirt, and, for a Spanish touch, threw on a tablecloth with colorful fringes; someone gave it to me as a present some time ago. So we danced both numbers and got paid twice as much. Then we repeated this program in another cabaret that was in the “Chinese” style and fancifully decorated. Vera got us this job. 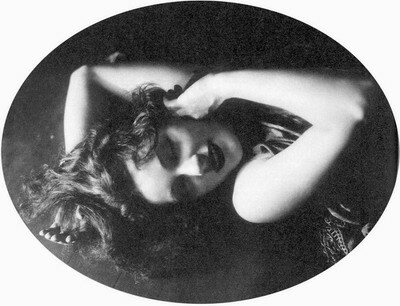 When she negotiated the price she acted as if she was Marlene Dietrich herself. Our “pink duet” and my Spanish solo with the tablecloth were a success. We were invited to dance on the next weekend but, again, had to come up with two new dance numbers. I did just what she said. We made new costumes ourselves. I bought a tiny piece of shiny black fabric and a piece of bright green material and used them to adorn my underpants and bra. On my feet I wore soft ballet shoes. Thus my acrobatic dance was born, as well as a new song with the same step-dance moves. Of course, my acrobatics were a joke compared to Chinese acrobatics, but I didn’t claim they were special; they were just an ornament for a simple dance. For a while, Vera and I got by this way. It often felt insufferable to dance in some shady joint instead of a decent evening club, but we had resort to those when our finances got worse. My girlfriend from Harbin helped me get a gig in one such joint. She was a charming, noble young woman whom I often met at literary society meetings back in Harbin. After she lost her husband and all means of existence she started to dance some “wild” exotic dance in order to survive and feed her little daughter. Her dancing was so bad that even her bright costume with plumage could not distract from it. Once she told me: “If not for my girl, I’d--” And she grabbed her neck, as if hanging from a rope. Vera went to India with a circus and left me alone. Again, I had to dance in a dinky nightclub to earn money. The hardest part was the lack of sleep. I could not sleep properly during the day, and my shift ended almost at dawn. Cabaret dancers were considered the greatest sinners. I did not dance in cabarets for too long and I cannot speak for all dancers, but those that I met did not do anything reprehensible. They were all sweet women, each with an unhappy story. Many had families to feed, including husbands who often could not find any work. Once a famous Russian journalist offered me a lift to my house in his cab. It was the middle of a cold night and my house was very far, so I gladly took his offer. But as soon as we were in the car the newspaperman’s kindness turned into something else. He instantly decided to warm his hands under my fur jacket. Back then I was not good at slapping faces, so I coldly offered him my knitted gloves. Moments like this made me regret not having gone to India with Vera. I left the nightclub after I contracted typhus and spent a long time in bed without any food. The doctor said that this sabbatical saved me. After I recovered I went back to the theatre. To earn money, the whole theatre troupe, including ballet, singers and orchestra, toured the countryside. We went to small provincial towns around Shanghai and performed in all kinds of buildings as long as they had a stage or at least a wooden platform. We lived in cheap and dirty hotels. In summer we suffered from the heat. I still remember the costume that colored my whole body green because I was drenched in sweat. On another occasion local hoodlums shot shards of glass at the stage with their slingshots. Luckily no one got hurt. Who needs me and why? This is why I keep silence. You can live, you can love. Writing about apple trees in May? In theatres, clubs and cabarets. Whom to love? Why love them? As long as I am young and flexible? But I live on. Years go by. I keep escaping and coming back. This is why I am silent.